One Direction Drops Teaser For "Best Song Ever" Listen Here! Getting Directioners everywhere ready for next week’s release of their latest tune, the members of One Direction dropped a teaser for “Best Song Ever” on Monday (July 15). “ONE WEEK TO GO! 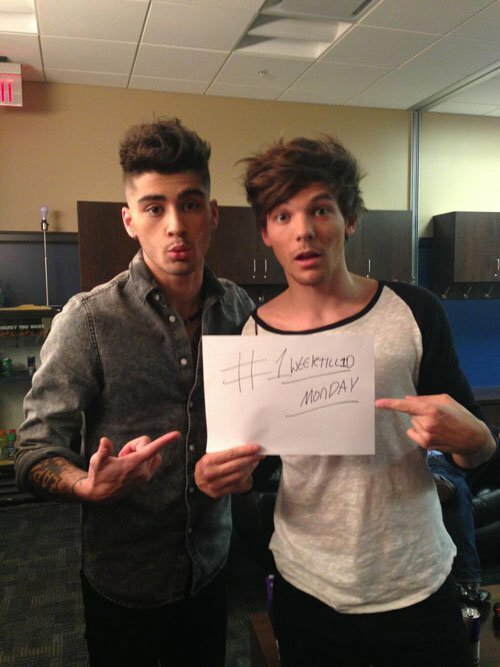 #1WeekTill1DMonday Challenge 3: Film an Instagram video of yourself singing ‘Best Song Ever’!” the boy banders tweeted. Not ones to leave their fans out of the loop, the guys have been asking them to guess the lyrics of the new single and record themselves on Instagram singing. “Best Song Ever” makes its official debut on Monday, July 22. Until then check out the sneak peek of the song in the player below.